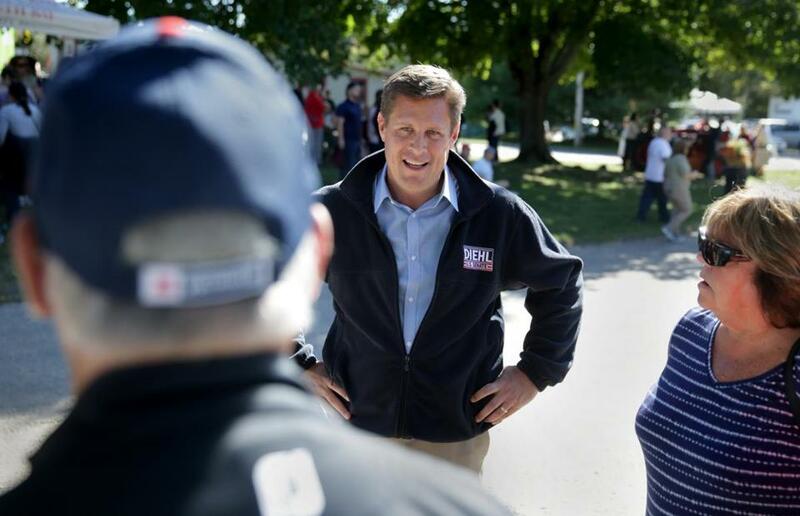 Asked Thursday morning whether he planned to vote for Governor Charlie Baker on Nov. 6, US Senate hopeful Geoff Diehl didn’t hesitate: “Yeah, I said I support the entire ticket; he says he supports the entire ticket. So nothing changes,” said the Whitman Republican, who is challenging Elizabeth Warren, in an interview. That’s more resolve than Baker displayed when asked the same question during a televised debate Wednesday night. Baker wavered and stumbled over several questions about Diehl, a staunch Trump supporter with starkly different views on key policy issues from the governor. Baker only committed to voting for Diehl after the broadcast ended. “The governor ultimately said that he’s supporting the ticket, and I support the ticket as well, so, um, I think [that] question was really answered by the end of the night,” Diehl said in a phone interview when asked for his reaction to Baker’s hemming and hawing. Diehl rejected the idea that he has become an albatross in Baker’s race or that his candidacy will cost Baker the executive office on Beacon Hill. 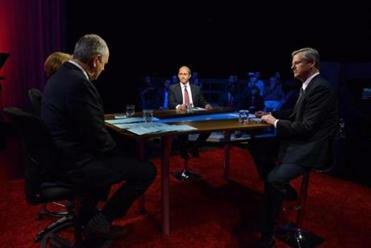 Democrat Jay Gonzalez pressed Republican governor Charlie Baker in a televised debate to decide between party loyalty and backing a candidate who opposes abortion rights and supports President Trump. Baker’s awkward moment underscores just how big of a wedge President Trump has driven into the Massachusetts Republican Party. The decidedly moderate Baker, who released a TV ad Thursday touting his bipartisan bona fides, has made it clear he didn’t vote for the president in 2016. Diehl was the first elected Republican in the state to endorse Trump and was cochair of his campaign in the state. “I anticipate being successful with this Senate race and being a great partner for Massachusetts and the entire Legislature,” Diehl said.